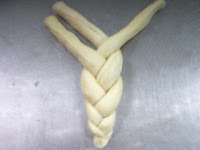 This design is only a guide for you and in the end,its up to you to dress or turn this bread design to whatever you desire.This design usually used for Cheese Twist Bread,Corn Twist Bread or Tuna Twist Bread.To complete this bread design,you will need 3 pieces of sweet dough.You also can use sour dough if you like however each pieces should not more than 60gm.This is because it can get really big when it proofed. First you need to roll all the 3 pieces like picture above. 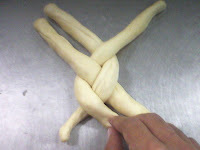 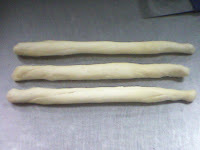 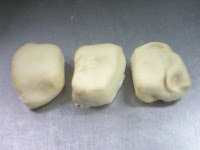 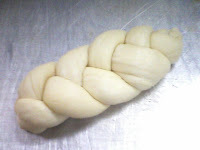 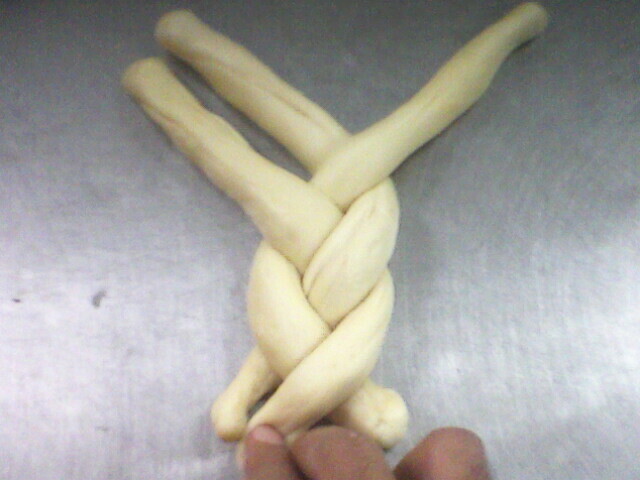 Now start arrange all the dough like picture above.The arrangement need to be precise so you can start twisting it without any difficulty. 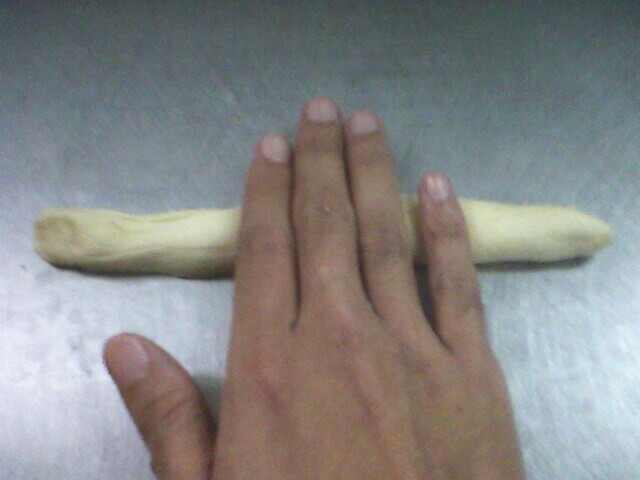 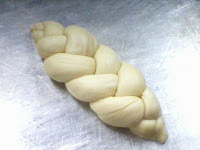 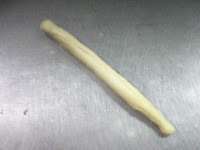 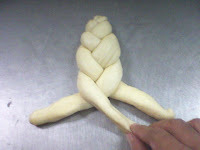 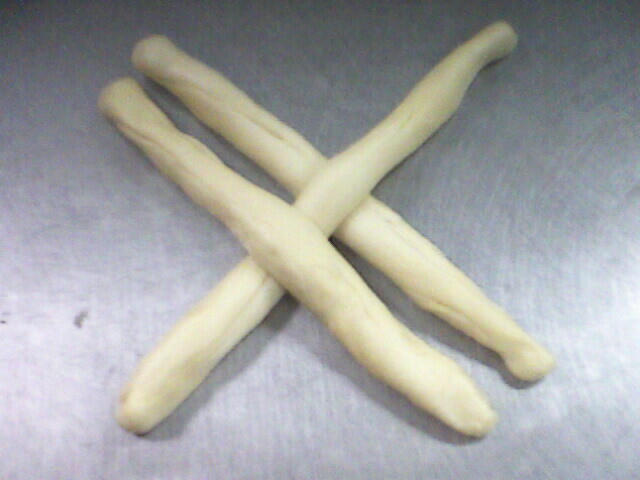 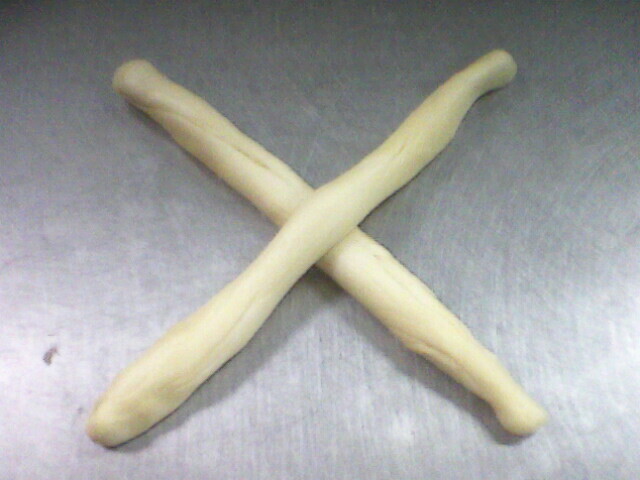 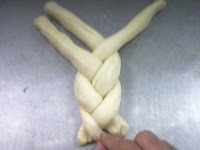 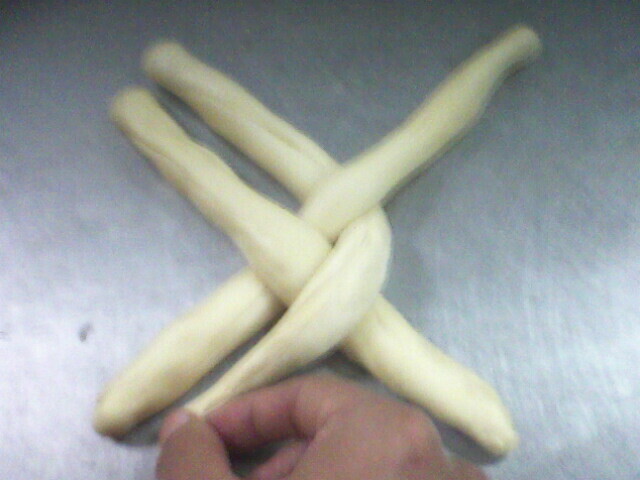 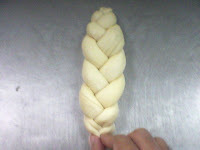 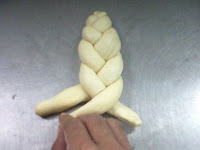 Just follow the picture above and you will start getting the picture on how to twist the dough. 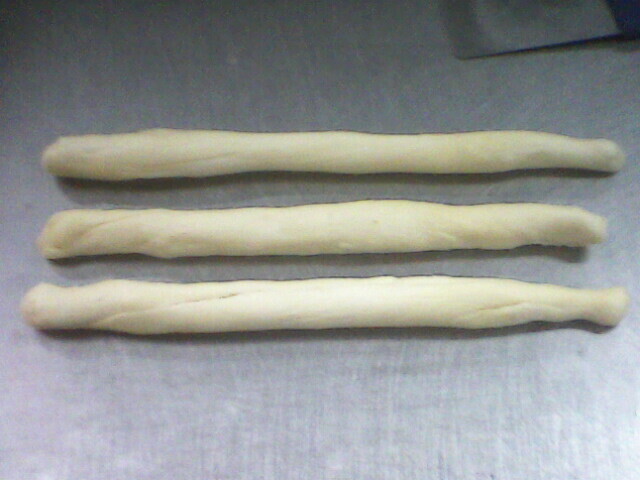 After finish one side,turn it up side down and start repeating the process. 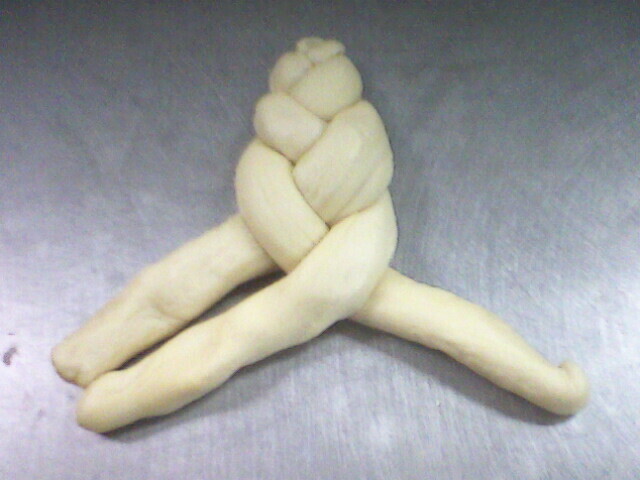 Now its finish and you made yourself Twist Bread Design!.To give you more closer picture for you to understand,i upload the video of the whole process.Enjoy it.